Invitation to Attend Final Watershed Meeting, Thursday, May 29th, 7:00 p.m. This will be the fourth and final community meeting to contribute your ideas for the Clyde River Sub-watershed plan. The meeting will be held at the Riverview Community Centre on Thursday, May 29th at 7:00 p.m. For those that are unable to make this meeting but would still like to put forth your ideas, please complete the online survey by clicking here. What do you want your community to look like 10–20 years from now? Are you concerned about the environmental challenges your community faces or could face? Let us know! 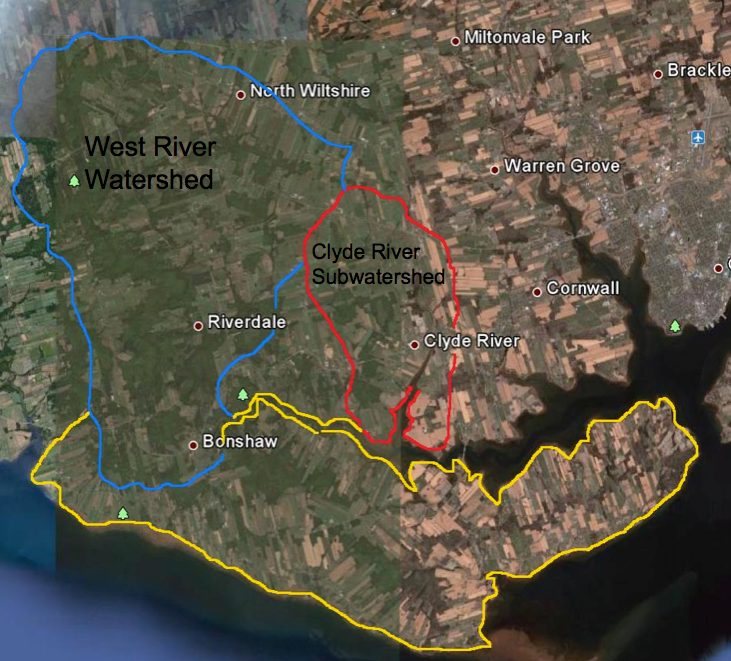 The West River Watershed Group under the Central Queens Wildlife Federation is looking to expand its management plan to include Clyde River and other sub-watersheds and they are looking for community input on Tuesday evening. Come share your ideas, historical perspective and knowledge in a focus group. The extent of your involvement would be to share your knowledge and offer input which will be valuable in the development of the Clyde River Sub-watershed Plan. There is no experience needed in watershed management to take part in this community focus group. For more information, please contact Megan Harris at cqwf.pei@gmail.com.